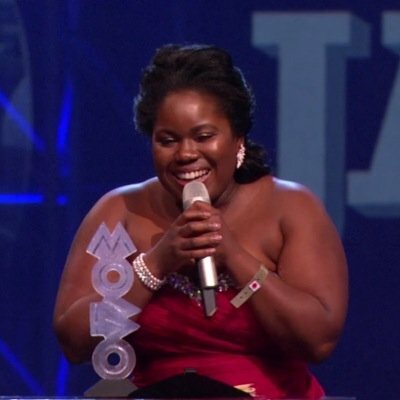 …And the MOBO Best Jazz Act goes to… We are still beaming from ear to ear because Zara has made us feel so very proud with her win at his year’s 2014 MOBO Awards on 22 October at the Wembley Arena. It’s really heartening to see young talented alumni rise to international award recognition. As Zara remarked in the Evening Standard: “It took me a while to get it into my head that I’m an artist in my own right. I grew up wanting to be a session singer because of the variety, but then I ended up doing more and more lead vocals” — with Gary Crosby’s ska-themed orchestra Jazz Jamaica, and the house music project Bopstar — “and here I am.” Thank you Zara. Watch Zara’s MOBO Award acceptance speech here. Zara’s acceptance speech said it all, when she acknowledged that the award meant for support for jazz. We already know how difficult it is for jazz artists to break through and reach new audiences. The competition is fierce. No matter how talented, creative or innovative jazz musicians are, the industry continues to promote and serve up other ‘popular’ genres, making it difficult for our jazz voices to be heard. Jazz needs this kind of platform. Over the past decade, Tomorrow’s Warriors alumni have featured in all but one of MOBO jazz awards – this is indeed a testament to the consistent investment Tomorrow’s Warriors is making and our extensive track record developing quality artists. After all, it’s all about the long game, not only putting back time, focus and strength into supporting young talent, over and over again, but also being a beacon to inspire others like Zara and Peter. The MOBO awards has given a platform to a huge number of artists across the music of black origin spectrum, being the first to acknowledge Jazzie B with his first ever award of any description back in 1996 – even though he had already had UK Number One hits in the late 1980s. Most recently MOBO got behind Emilie Sandé and Rita Ora right before they became huge. Last year, four of the five nominees for the MOBO jazz award were alumni of Tomorrow’s Warriors and this year, two nominees are our alumni. In fact, there have been very few instances over the past decade when a Tomorrow’s Warriors alumnus was not nominated! Congratulations and full credit to Zara – she’s an amazing talent and embraces what’s exciting among young jazz performers today. As John Fordham said earlier this year, writing in The Guardian “her imaginative improvising joining fluent operatic leaps and expressively speech-like sighs and hesitations.” A true vocal powerhouse with so much more potential to put on her the road to being one of jazz greats. The question is how far can jazz musicians go compared to their counterparts in other genres? The bottom line is that there’s simply not enough investment in, or acknowledgement of jazz artists and, frankly, even in a music awards show aimed at celebrating black music, it’s simply too hard, almost impossible to get noticed among the mega music wagon of Hip Hop, Grime, R&B and ‘Urban’ music. Help us change this! So let’s join in and say huge congratulations Zara on her award and a big well done to Peter – yes, we are so very proud and wish them both the best for an incredible end of the year!